Hey everyone! I recently started hiking again after my injury and I went back and visited this one hike I had done once before. When we arrived to the hike this time it started down pouring rain. I was nervous to hike it because my body isn't quite ready for an intense hike yet and also people were walking out from the trail covered head to toe in mud. But anybody that knows me knows I love stuff like this so I looked at my husband and said yep, lets go. 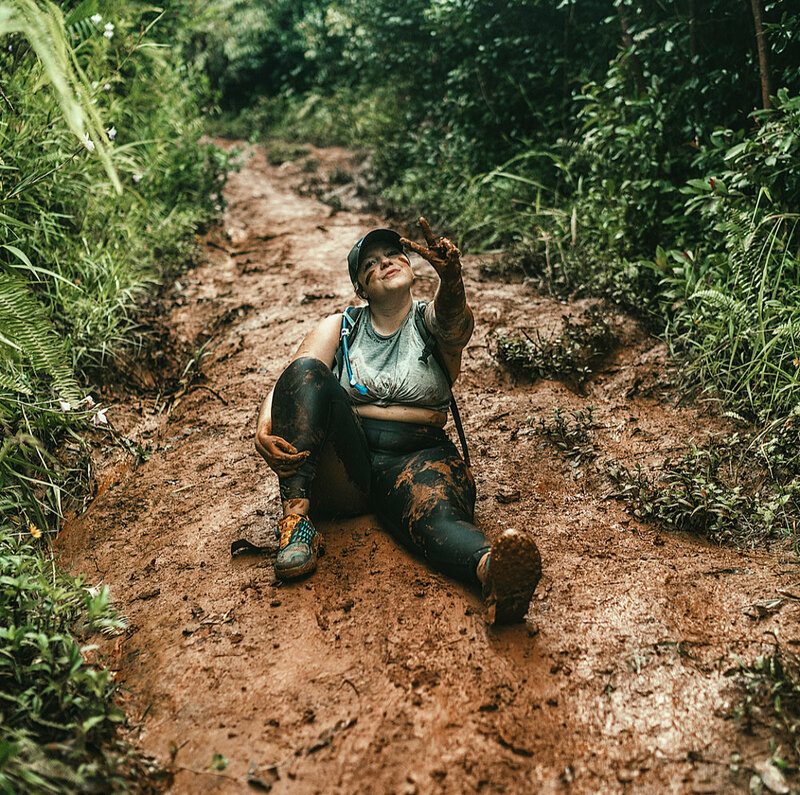 It definitely wasn't easy after a good rainfall and it took a little longer than expected but I love this trail because you really get submersed into nature quickly. On the path you are mostly gaining incline and ducking under trees and climbing over some stuff or even using ropes to pull yourself uphill. 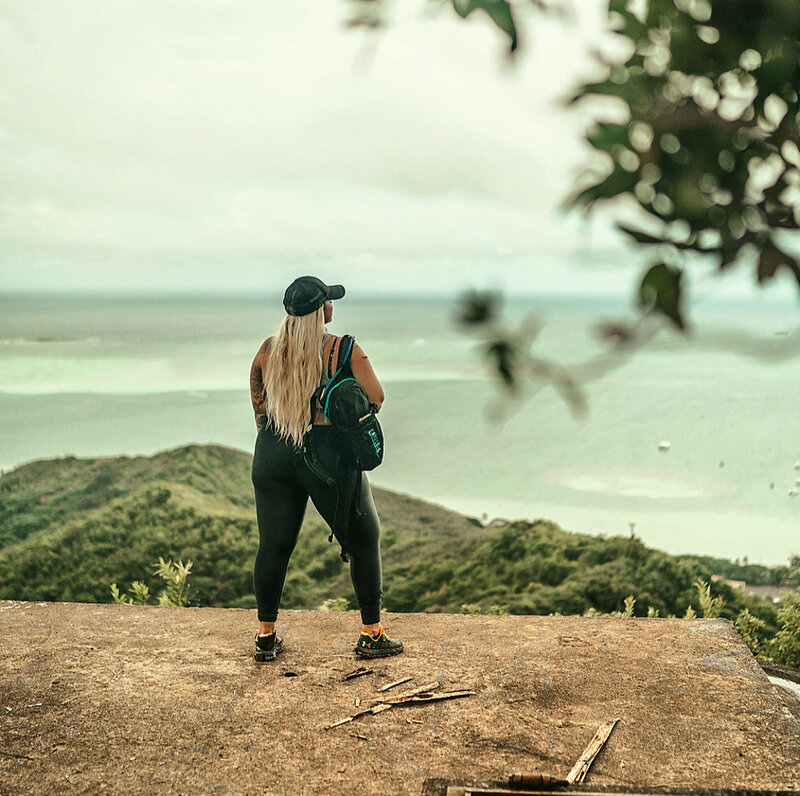 Once you get to the top there is a pillbox with amazing views of Kaneohe Bay. I could sit here forever just taking it all in. I love watching the boat go by and seeing China Man's Hat in the distance. Coming down was honestly the worst part and I decided after trying to walk down that it would be best to just slide down lol. You can probably do this hike in about 3 hours roundtrip (maybe faster if you know your way and are booking it uphill). I've linked below some of my fav gear that I wore during this hike too. I love my Koral leggings but wouldn't recommend sliding in mud with them on. It was like a slip and slide! Hope you all go out and explore this weekend!